When companies think about getting their emails under their own domains, they often ask the same question: should we use an email service like Gmail (Google Apps for Business) or set up our own email server? There are pros and cons to both options, so let me try and sum them up. When working with SaaS solutions, you outsource all the maintenance burden like spam-filtering, software updates, new feature developments, etc., to the service provider. This means that you do not need to keep an in-house system administrator to handle these tasks. When you store your emails on your own server you control, you know who reads them and when. You can rest assured that none of your emails are being scanned by crawlers for keywords to use in ad campaigns. Your information is available only to you. When you entrusting your emails to a 3rd party company, you entrust them with basically all of your secrets. Even though the likelihood of a 3rd party company’s employee reading through your emails is small, your emails will, at the least, be scanned and crawled for keywords in order to server better-targeted ads. The tricky part of any email service is that more often than not the problem is actually located on the client’s computer. Any 3rd party support team at this point will let you deal with the problem on your own; supporting end-customers is not (and cannot be) their responsibility. An in-house administrator, on the other hand, will be able to come over to an employee’s desk and solve the problem. This can potentially save you days of an employee’s time, compared to talking to the remote support team of a SaaS email service. (if they even have one; Gmail doesn’t). When calculating the total cost of your email service, don’t think just about monthly costs per user. Is it a business-critical service for you? Some companies move away from emails to ticket and project management tools like Basecamp or JIRA, some move to messengers like Slack or Flowdock. In this case, email becomes nothing more but a bucket for notifications. Will your business suffer any monetary losses if your email becomes unavailable for an hour? What about a day? Two days? Try to roughly estimate the impact of such a situation. Do you have a person who is technical enough to set up and maintain the email server and support workstations of your employees? If yes - does that person have enough free time after his/her other routine tasks or will it be an overtime, extra duty? Do you have a server available for hosting an email service or would you need to buy/rent one? Add server rent/purchase costs, as well as utility bills (if applicable) to the equation. Think about your employee profile. Can you foresee who / how many team members are less technical and are likely to have questions and require support every now and then? This would add both direct costs in support administrator time and indirect costs in your employees being idle while their question is being answered and their problem solved. All in all, TCO should reflect both your risks and your direct expenses split by month. Take into account that monthly maintenance expenses on an on-premises email server after the initial setup are going to decrease as the solution will become stable and only occasional fine-tuning will be required. SaaS providers, in turn, will not ask for huge investments from the start, but the monthly fee will not go down over time either. 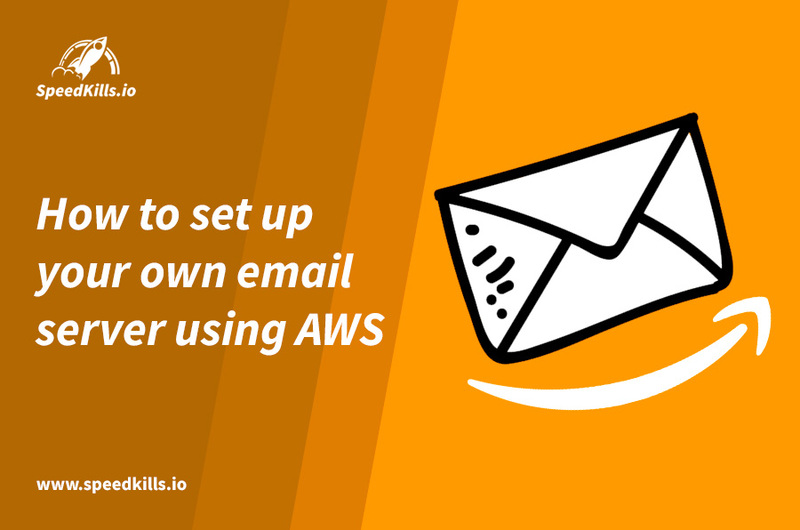 For simplicity, this tutorial will assume that you are using Amazon Web Services (AWS) as the hosting platform for your email server. However, it’s possible to set up a similar mail server on any other dedicated server if you have full root access to it. You do not need to change anything on the following screen, just click Next: Add Storage. This step is optional but helps a lot to improve maintainability of your AWS account. It will open the mail server to the world and will grant you (and only you) access to the server via SSH. If you will ever need to access the server from a different IP address, you will have to update the security group. !!! NB: never leave SSH port open to the world (0.0.0.0/0) as it will lead to a major security breach! In the following pop-up, select the existing private key if you have it or create a new one. You will need this key to connect to the instance and configure the server. You will see your new instance there in “pending” state. Wait until it changes to “running” - it may take a couple of minutes. 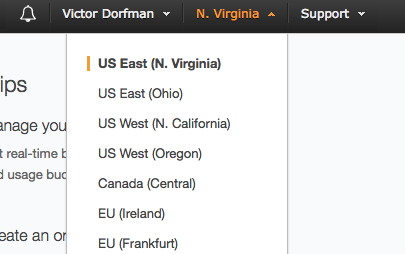 Once it is in “running” state, go to Elastic IPs section: https://console.aws.amazon.com/ec2/v2/home?region=us-east-1#Addresses:sort=PublicIp and click “Allocate new address” button. Now you are able to connect to your instance using this IP address and the IP will remain always associated with your instance. This IP address must be used for all mail-related DNS records as well. Before setting up the mail server, there are a few steps you need to take to configure general server settings. By default the second drive you created (50GB) will not be mounted and available - you need to create a partition and mount it first. Letsencrypt allows us to obtain and renew a free fully-functional SSL certificate. Letsencrypt certificates have 3 months TTL so they must be renewed quite often. Depending on previously installed package list, you may or may not see prompts to configure mysql, postfix, etc. You will be prompted to enter and confirm mysql root password. Use password generator to create a safe 16+ character password and note it down. Next, you will need to choose Postfix configuration type. Select “Internet site”. The next prompt will ask for the correct mail name. Enter the domain name you are configuring the mail server for. And enter mysql root password when prompted. Next, open mail.cf and add the following lines towards the end of the file. Don’t forget to update the paths for tls cert and key files! Dovecot is an IMAP and POP server. It also implements security/authentication for IMAP/POP as well as SMTP (via Postfix). Also comment out line: !include auth-system.conf.ext to disable system user authentication. resources.doctrine2.connection.options.dbname = ‘vimbadmin’ ← Don’t forget to update this! resources.doctrine2.connection.options.user = ‘vimbadmin’ ← Don’t forget to update this! resources.doctrine2.connection.options.password = ‘password’ ← Don’t forget to update this! RoundCube is webmail interface. Since email can be checked using any email client, this part is optional but recommended for convenience. Answer “Yes” to “Configure database for roundcube with dbconfig-common? ” prompt.